Sandra was a student at Springfield High School at the same time as Homer Simpson. 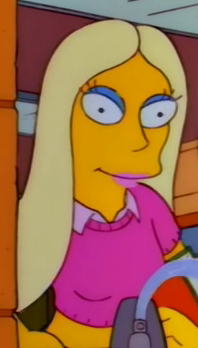 While attending Springfield High School, Sandra approached Homer Simpson and commented on how she thought he was cool. She walked away with her friends, one of them commenting on how mean her act was. Modified on September 14, 2016, at 06:46.